Mondays 6:30 – 7:30 p.m. Geared for moms with children school aged or younger. Provides a time of fellowship, study and encouragement as kids enjoy supervised play. Tuesdays 6:30 - 8:30 p.m. Meets in the Commons room then breaks into small groups. 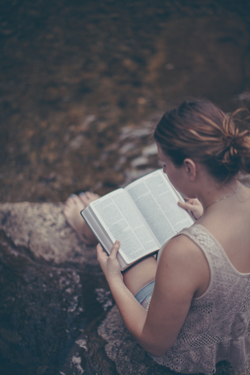 An in-depth study of scripture for women 18+. Small group discussion is based on homework and your own study throughout the week. Faithful attendance and participation is expected. This weekly Bible study generally uses a topical approach and a large-group format. Will resume in the fall. Each year we have a retreat weekend where we spend time with God and other women in fellowship, reflection, and prayer. Our 2018 retreat was in September at Diamond Lake Cabins in Scio, OH. We are planning our 2019 retreat and will share details soon. If you have a question about any of our women's ministries, please email Marilyn Raux.